Jordan Kunaszyk walked into the interview room, sat down at the microphone, and asked, "Can we just acknowledge 37-3 against a team like that?" It was almost impossible to believe. 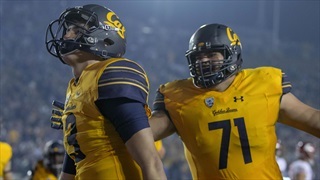 Cal didn't just upset eighth-ranked Washington State (6-1, 3-1). They demolished them. It was the Bears' first win over a top ten team in 14 years, and it was a performance for the ages. The numbers are staggering. 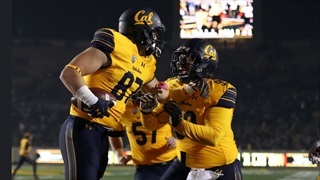 Cal (4-3, 1-3) forced seven turnovers and racked up nine sacks, their most in a game since 2005. Washington State quarterback Luke Falk threw five interceptions, after entering the game with just two all season. The Bears' three points allowed were their fewest in a game since 2010. "I'm just so happy and so proud of how we responded from last week and how we played tonight," Kunaszyk said. The junior linebacker had just put the finishing touches on the game of his life, recording a career-high 11 tackles, the first 2.5 sacks of his career, an interception, and a forced fumble. "It's nice to see all the work you put in throughout the week pay off, in dominant fashion against a really great team," he continued. "We're all pretty excited." Just six days earlier, the Bears looked like an entirely different team, getting trounced 38-7 at Washington. It was their third straight loss, and amid a barrage of injuries, the season appeared to be slipping away. But the players never lost faith in one another, refusing to make excuses, and their resilience was on full display Friday night. 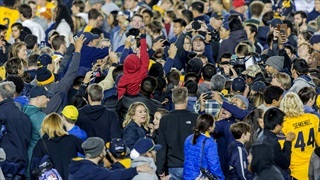 "I am really proud of everyone in our program," head coach Justin Wilcox asserted. "They came in ready and prepared to work very hard. It doesn't guarantee anything but it does give you a chance when you practice hard like they did. And I am proud of them for that. They deserve good things, because they are good kids. They work hard. We just have to continue to build on this." "(We proved) that we can do it," added sophomore quarterback Ross Bowers. "It's a simple formula, but it's hard to do. Preparation during the week, taking the right steps, working smarter and just focusing on doing our job. Those are what we put a premium on and it showed off this week. It was really good for us." The victory had to feel extra sweet for Bowers, who struggled mightily in the loss at Washington, causing many fans to call for a change at quarterback. He responded Friday with a gutsy effort, completing 21 of 38 passes for 259 yards and a touchdown, and showing incredible courage on a 7-yard touchdown run where he flipped over a defender into the end zone. "That's Ross," said Wilcox, flashing a rare smile. 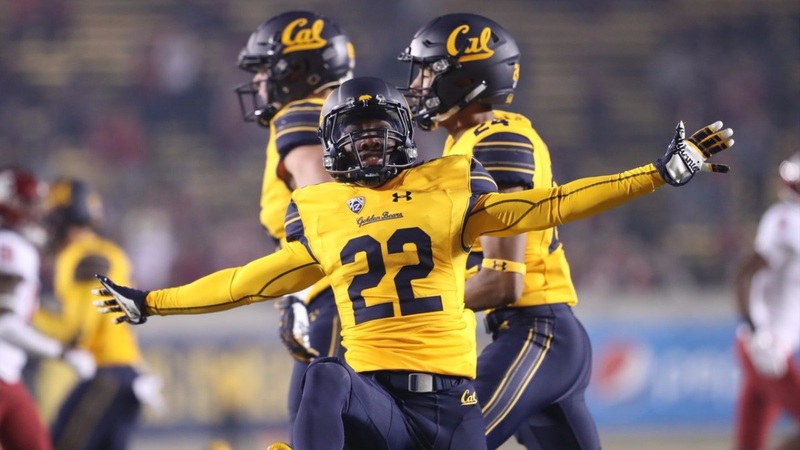 "You just want to go hug him because he plays with guts, and I appreciate that about Ross... He's trying to get in the end zone and you love him for that." "I didn't have that much time to think at that moment," said Bowers. "I didn't think I could go left or right, so why not over the top? Luckily I was able to land safely." Bowers also credited his mother, Joanne Bowers, who spent ten years as the head gymnastics coach at the University of Washington. "Of course," he joked. "She said to me after the game, 'Why didn't you do a double?'" Maybe next game, Coach Bowers.